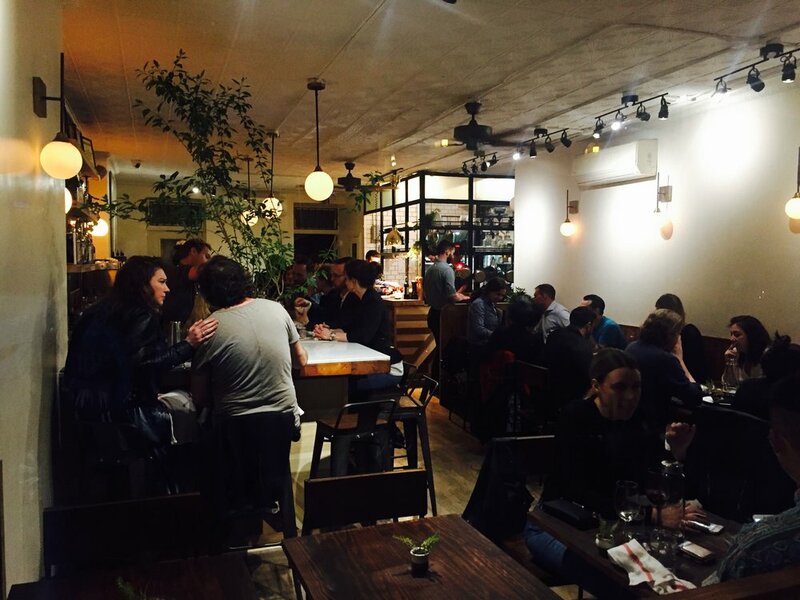 Mediterranean food with a twist, serving in the heart of Brooklyn's Fort Greene. MISS ADA IS AN INVITING NEIGHBORHOOD RESTAURANT IN THE HEART OF BROOKLYN’S VIBRANT FORT GREENE DISTRICT. LED BY ISRAELI-BORN CHEF/OWNER TOMER BLECHMAN, MISS ADA USES LOCAL AND SEASONAL INGREDIENTS TO CREATE A UNIQUE TWIST ON MODERN MEDITERRANEAN CUISINE. IN THE WARMER MONTHS, FRESH HERBS AND VEGETABLES FROM THE SUN-DRENCHED BACKYARD GARDEN ADD AN EXTRA ELEMENT OF FLAVOR TO THE DISHES AND COCKTAILS. THE NAME, MISS ADA, ORIGINATES FROM THE HEBREW WORD FOR RESTAURANT, “MISADA”. THE ROOT OF THE WORD, “SEUDA”, REPRESENTS COMING TOGETHER TO THE DINNER TABLE WITH FAMILY AND FRIENDS TO RELAX AND DISCUSS THE DAY TOGETHER. BOOK YOUR MISS ADA RESERVATION FOR PARTIES UP TO 4 GUESTS ON RESY! TO PURCHASE E-GIFT CARDS FOR Miss Ada: CLICK HERE!